bars and institutions. 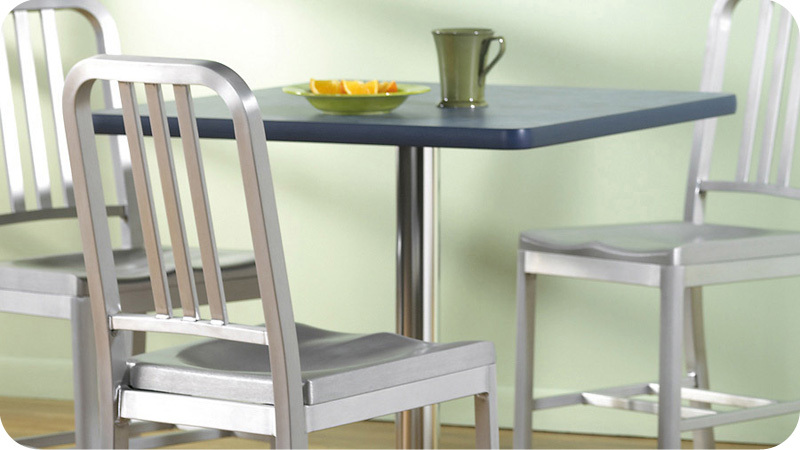 Our clean brushed aluminum chairs are available with aluminum, upholstered and wood veneer chair seats. Light weight aluminum frames are heavy duty, all welded construction. Commercial quality, durable, Made In U.S. construction.